Your oral health is of great importance to us and we will do all we can to help you maintain a healthy, functional and attractive smile. 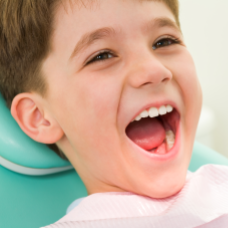 When you visit us for the first time, we will conduct a thorough examination looking at all aspects of your mouth – the teeth and gums of course, but also your bite, jaw joint, jaw muscles and the soft tissue of your mouth and throat. We will use digital imaging to show you your mouth and teeth the way you see it, the way other people see it, and the way we dentists see it – a full tour that allows you to understand your mouth in a way you have never experienced at the dentist before. As a matter of routine, our dentists check every patient for signs of oral (mouth) cancer and other conditions when they visit. Based on the examination and your individual requirements, we will agree on an appropriate maintenance regime of regular dental examinations and visits with the hygienist. Regular examinations give us the opportunity to identify and address potential problems as early as possible, and provide you with on-going advice and support to enable you to achieve and maintain your optimum dental health. The dentist and hygienist will work together to help you keep your mouth healthy. Managing your treatment plan and on-going care is very much a two-way process. You will be able to tell us your concerns and ask questions so that you are well informed about your specific needs. By working with you, we will deliver a personalised hygiene programme tailored to your specific needs – a plan designed to protect and maintain your dental health. The dentist and hygienist has extensive knowledge and experience of the way in which different factors – such as your genetic make-up, lifestyle, age, diet and dental hygiene – can affect gum disease and tooth decay. With this in mind, we will offer practical advice and demonstrations on working the programme into your daily routine. As well as providing a scale, polish and professional clean, we will record your plaque levels, monitor the condition of your gums, treat any localised problems, remove (as much as possible) the bacteria that have migrated under the gum line, and make recommendations and adjustments to your daily home care routine. 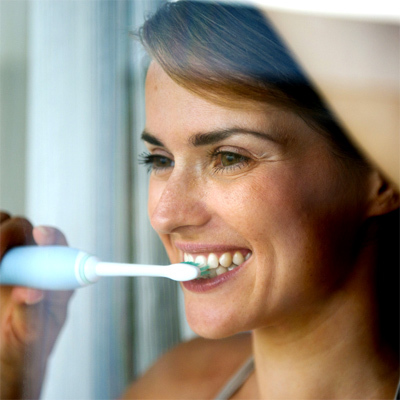 Follow this simple routine for a perfect daily dental hygiene routine. The role of the treating dentist is primarily to help athletes and corporate workers achieve full dental fitness in order to perform at their full capacity. Both physically and mentally. Success and risk limitation at any level depends on health and dental fitness that is best described as the absence of acute or chronic illness. Acute dental problems are unwelcome at any time but especially prior to, or on the day of an important event or meeting at home or abroad. Even if you have never previously required dental treatment it is important to realise that symptoms often only occur during the later stages of dental disease. Neglect: A lack of routine care, maintenance, regular dental examinations and hygiene appointments can result in dental emergencies occurring – even in previously disease free mouths. Wisdom Teeth: A very common problem in young people in their late teens and twenties. Teeth partially erupting through the gum can easily become infected causing pain, swelling and fever. Diet: Isotonic drinks recommended by nutritionists for elite athletes are full of sugar and very acidic. Regular consumption increases the risk of decay and acid erosion of teeth, in the same way as cola or other carbonated and high sugar drinks. Infection from the mouth: Infection (gum disease/decay/infected wisdom teeth) can travel around the body in the blood stream. It is recognised that the infection can settle in other sites (such as injuries) and cause problems. A general level of infection (bacteraemia) can cause us to feel less than 100% – undesirable when competing at the highest levels in sport. Mouth guards can play an important role in your oral health. Although you go to your check-ups and hygiene visits twice a year you might grind your teeth why you are asleep or might need some support and comfort when doing physical exercise. This is why dental experts developed mouth guards to help you. It is a flexible appliance made out of plastic that is worn in athletic activities to protect teeth from trauma. To protect your mouth from injuries and grinding. The dental profession unanimously supports the use of mouth guards in a variety of sports activities and when sleeping. There are more injuries that occur to the mouth and jaw each year than you might think (appr. 200 000 a year). Not all mouth guards offer the same grade of protection and comfort. Most shop mouth guards are uncomfortable making breathing and speaking difficult, with the result people often choose not to wear a mouth guard at all. Do mouth guards prevent injuries? A mouth guard can prevent serious injuries such as concussions, incidents of unconsciousness, jaw fractures and neck injuries by helping to avoid situations where the lower jaw gets jammed into the upper jaw. Mouth guards are effective in moving soft tissue in the oral cavity away from the teeth, preventing laceration and bruising of the lips and cheeks. Anytime there is a strong chance for contact with other participants or hard surfaces, it is advisable to wear a mouth guard. Players who participate in basketball, football, rugby, hockey and martial arts should wear mouth guards while competing. Why don’t kids wear mouth guards? Parents are sometimes uninformed about the level of contact and potential for serious dental injuries involved with sports in which the child participates. Some, though not all schools, reinforce the health advantage of mouth guards for their contact sports. How should I care for a mouth guard? Clean your mouth guard by washing it with soap and warm (not hot) water. Before storing, soak your mouth guard in mouthwash. Keep your mouth guard in the supplied plastic storage box when not in use. Heat is bad for mouth guards, so don’t leave it in direct sunlight or in a closed car. Snoring has been accepted as a problem with a difficult solution. A great majority of patients snore, keeping their partners awake at night. Snoring has been associated with other medical complications if left untreated. The problem of snoring can be worse if you are overweight or if you have consumed alcohol, or are taking sleeping tablets. Sometimes one’s anatomy can cause snoring. If you are concerned about your snoring then contact Dr Antimos at the practice. If suitable, we can provide patients with a custom made device, an effective way to minimise snoring during the night and improve breathing. Something that will benefit both you and your sleeping partner.